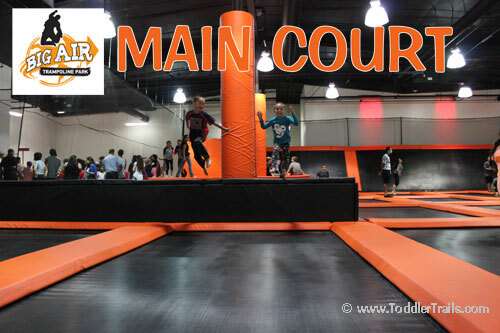 Indoor trampoline parks are becoming the most popular indoor playgrounds for kids and the young at heart. 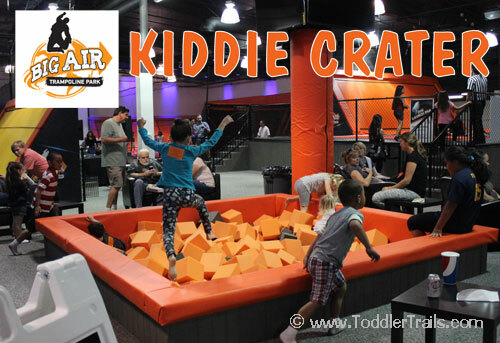 We are so jazzed that Big Air Trampoline Park, Buena Park is literally down the street from us, offering so many different opportunities for special events and family fun. They are a great way to burn off some energy while exercising with wall to wall trampolines, foam pits, slam dunk basketball hoops, trampoline dodgeball and more. 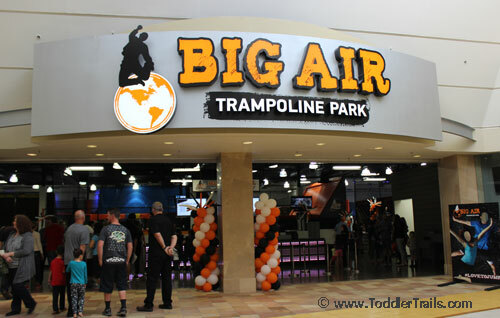 In the Main Court, let your imagination take hold as you flip and fly through trampolines in all directions. There is one particular corner I couldn’t get my big boy out of, as he was determined to jump off the platform to the next with one bounce. 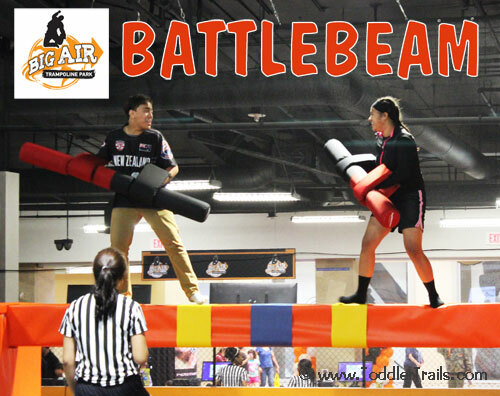 The Battlebeam is where you can challenge your family member or friend in a one on one jousting battle over a pit of foam. The Pit allows you to bounce your way and flip yourself into a massive foam pit. Be warned, once you’re in, it’s a little difficult to get out. My little one loved jumping into the smaller “Kiddie Crater” which is located in the center of Big Air Buena Park, surrounded by lounging chairs for parent chaperones to relax and keep an eye on their little ones. The Lil’ Air area is designed for little jumpers so they are away from the big guys. There are four colorful lanes exclusively reserved for tiny jumpers to bounce their way and push themselves off of a trampoline wall. If you’re on the daring side, you’ll love Dodgeball. Open dodgeball games are a constant battle ground supervised by a whistle blowing referee who will point you out when you are hit by the ball, so be prepared. Want to test your skills on a bull? 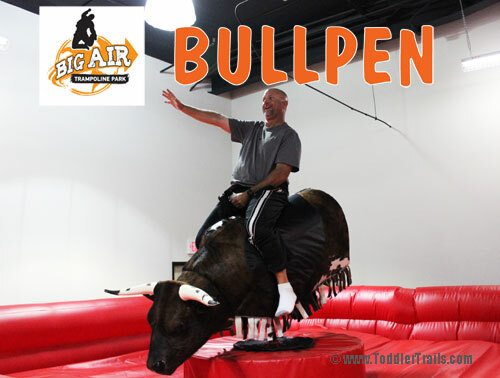 Check out the Bullpen and see how long you can stay on the Big Air Bull. I was certainly surprised that the Hubster decided to give it a good ol’ try. Fun to see him thrown from this mechanical bucking bronco. My hubster loved the Dunk Courts, where he bounced his way into a flying dunk shot. They have two rim heights to accommodate younger, smaller basketball jumpers. Toddler Time Tuesdays: 9am-12pm – Jumping time especially designed for little ones (age 6 and under) to jump at their own speed and comfort level. Without the older kids around, the toddlers feel right at home on all the attractions. In addition to opening the attractions, they provide extra balls and toys for the little kiddos. Be sure to check current schedule for excact date, time and admission fee. Cosmic Nights Fridays & Saturdays: 8pm-11pm – For Cosmic Nights, they turn down the lights, turn up the music and fire up the lasers and strobes. 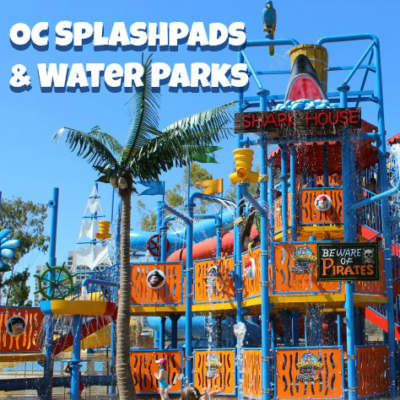 Enjoy access to all the attractions at the park. The price of admission covers the entire duration of Cosmic Nights. Thursday Night Family Night: 4 one-hour jump passes, a large pizza, and a pitcher of soda for $40. Buena Park Mall at 8308 On the Mall, Buena Park, California 90620. 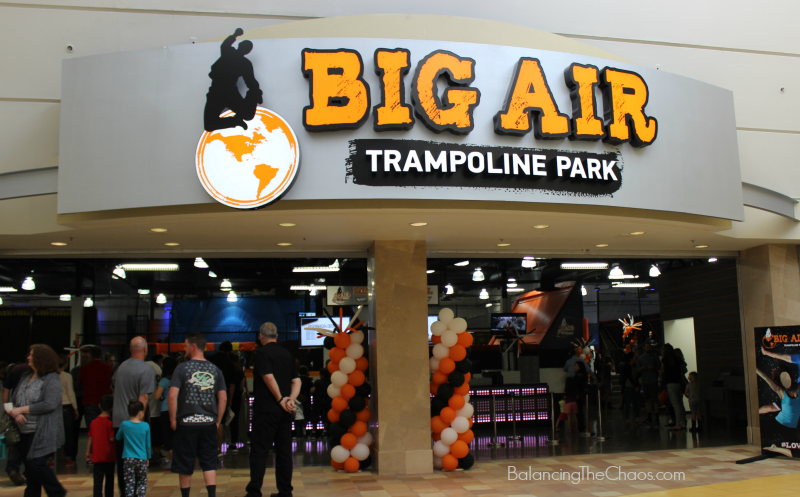 Disclaimer: We were invited to the Grand Opening Celebration of Big Air Buena Park to share our honest opinion, experiences may vary. No form of compensation was received. 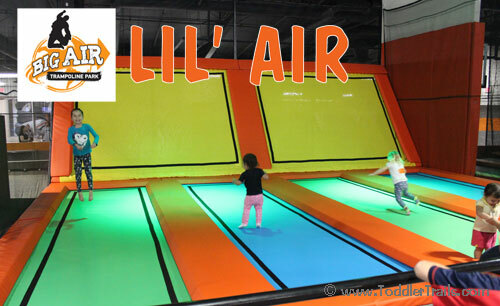 The Lil’ Air area looks like lots of fun for toddlers! No, not big air. We visit a trampoline park in Murrietta. I took my boys once and they had so much fun. But they didnt get a chance to try all the different attractions. They just did the main trampaline jump. They really wanted to do the Bullpen ride but they ran out of time. Haven’t been and would love to go! 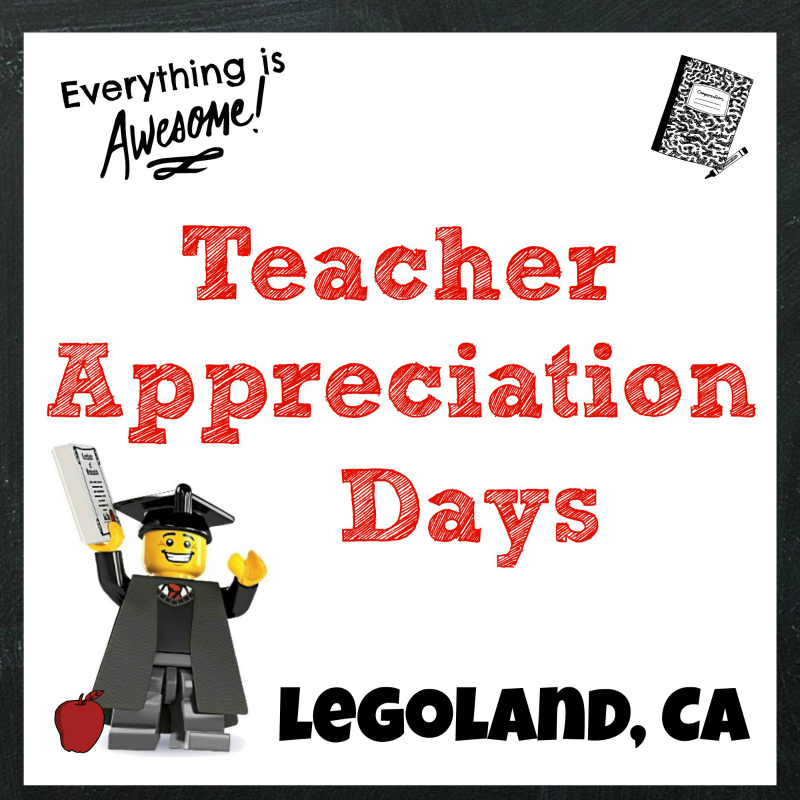 Have not been but looks like fun! My kids like the room with wall to wall trampolines. We’ve never been. Looks like a great way to get some energy out! Did not know about this place…looks cool & can’t wait to try soon. never been. would love to go!! Finally a trampoline place close to us! I have not been. So many fun activities. I would love to try the battle beam with my husband!